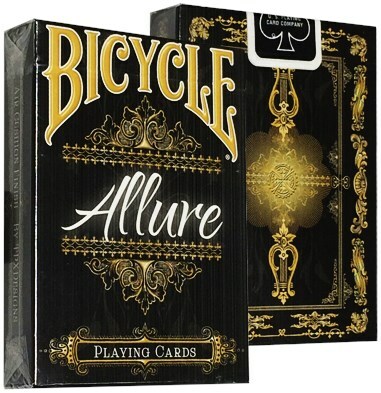 The Bicycle allure deck is elegantly designed in a dark grey and gold color scheme. The grey and the gold are used on the card faces, along with the back design. One of the most interesting aspects of this deck is the floral design, which is lurking in the shadows on the card faces and backs. This is a limited production deck with only 4,000 being produced for worldwide distribution.